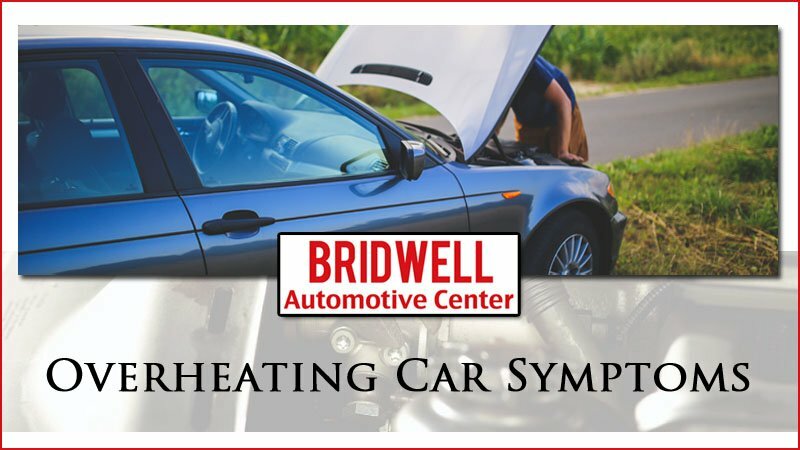 If you’re searching for overheating car symptoms or what causes a car to overheat, this post will help you understand the signs of an overheating car and what to do. Overheating engines are not something that people want to happen. If you can catch the problem quick enough, then you can save the headache from major engine repairs, and possibly needing to purchase a new car. Knowing the following information from this guide will help you to make the right choice when any of the symptoms happen. Car Overheating What To Do? If you believe that your engine is overheating, don’t try to check the coolant level or open the cooling system because it will be under pressure and you can get burned with coolant. Let your engine cool down before you check for an issue. Each car will have a warning light or temperature gauge that will come on to tell you the temperature engine. If the warning light comes on, it’s saying that the engine is beyond the operating temperature. If the temperature gauge is over the red or near the top, then that is a sign that there is excessive heat on the engine. The only issue with these devices, is that they sometimes they don’t work right because of a coolant leak which causes the sensor to have nothing to read. Because the engine is a giant piece of metal with small pieces of plastic, rubber gaskets and seals, and residual motor oil, whenever it is running hot these oils and materials will give off an odor that most people describe as smelling hot. This may happen even if your gauge is stating that is in the normal level and your warning light isn’t on. The odor can come through the AC vents because the engine is near the fresh air intake of your HVAC system. Whenever an engine is cold it won’t run efficiently. This is why engines are designed to have a thermostat that stays closed blocking the flow of coolant to the radiator until the engine is able to reach the operating temperature. The issue with this device is whenever it doesn’t open it can cause the coolant to get super-heated inside of the engine. This can cause a thumping noise from your engine whenever you have cold coolant trying to mix with the boiling coolant within your engine. This particular sound is pointing out that your thermostat should be replaced because of a failed sensor within the thermostat. Engine oil is used to lubricate and provide thin layers of protection between the moving parts. Whenever this oil gets super-heated, it will lose the ability to provide this layer as the oil weight is so thin that it is similar to water. Once this happens, the clearances in the engine will start to tick which indicates that the lubrication process has failed. If there is coolant on the ground under your vehicle after you parked it, then it may be an indication of engine overheating. This could be because either the cooling system has a leak which causes the engine to run hot and overheat or the coolant has boiled inside of the cooling system and has been relieved by the coolant overflow tank. Whenever there is boiling coolant, in the coolant reservoir or being sent out of the radiator cap because of extreme temperatures it will cause steam to be produced from the sides, rear or front of the hood. This is because the coolant is way past the boiling point and is now becoming steam much like water. This is a big sign that the engine is overheating, and it needs to be shut off immediately before any damage happens. Whenever an engine is overheating it may cause reduced power because of the pistons expanding within the cylinder bore which will slow down the crankshaft rotation. This will slow down, and it is because of the amount of power that the engine can produce. If you happen to notice that the vehicle is having a hard time keeping up with traffic, look at your temperature gauge or light and then notice if there are any weird smells which can be trying to tell you that there is a temperature problem in the engine. While the hood of your car is going to hotter than everything else, it shouldn’t be extremely hot to the touch. You should be able to place your hand on the hood for around 10 seconds in a worst-case scenario. If you aren’t able to touch the hood, then your engine is causing excessive heat and it will need to be checked out. If your vehicle is overheating and smoke or steam is coming out of the hood the first thing you need to do is pull over. Then you can start trying to address what’s causing it, if you can fix it, or if you’re going to need to get it towed to be repaired. Serious damage can occur if your engine is overheating. Follow these steps to handle and overheating engine if you car, truck, van or suv. Whether you’re on the freeway, highway, or busy street stay calm and pull over if you’re overheating. Pulling over quickly and shutting off the engine will allow it to start cooling. Do this quickly to avoid serious damage to the engine or it’s components. In the event you’re unable to pull over make sure you shut off the AC and cool by lowering your windows. Turn the heater all the way up to full, doing this will help cool the engine. Flip on your hazard lights and drive slowly and avoid stop and go traffic. If you’ve got clouds of steam or smoke billowing out of your hood, wait until it’s stopped. If you feel the the hood is still very hot wait for it to cool down before opening it up. You can shut the car off but leave the key in the on position. This will allow the fans to continue to cool the engine. While it will take some time you should wait the approximately 30 min before trying to touch the radiator cap or engine. Avoid serious burns by being patient and running the fans with the engine off but keys in the on position. Check the radiator hose located in the upper side of your engine. Use a rag, towel, or cloth to squeeze the radiator hose as it’s likely still very hot. If it is stiff there’s likely still pressure in the system. Do not remove the radiator cap until this pressure has subsided. Where the radiator hose is located depends on the make and model of vehicle, but they are usually on the top side and called the upper radiator hose. Safety can’t be overstressed and removing the radiator cap too early can cause serious burns. Pressurized coolant can spray out and cause painful burns. The coolant of an overheated engine can easily exceed 250°F. As long as it is inside the compressed coolant system it doesn’t boil. As soon as the pressure is released and it’s exposed to air it can boil in a flash. Once the engine has cooled and you’ve tested the radiator hose, use a rag to remove the radiator cap. Some caps you need to push down after you’ve loosened it while others have threads and scew off counter clockwise. Doing this will expose your coolant to regular air pressure and if you’ve done it too soon it can flash boil and burn you. The radiator cap is attached to a white tank that holds your coolant. Once the vehicle has had about 40 min to cool you can check the coolant level with the cap off. There’s usually a level to show if you’ve got enough, too much, or not enough coolant. This will be a good guide to knowing if it was a isolated event or if you’re low on coolant. If you found that you are low on coolant the most common problem is leaking coolant. You’ll have to look under the vehicle for puddles or drips of coolant. Generally older vehicle always have green coolant. Newer vehicles have been equipped with various colors of engine coolant, so check yours to see what color of coolant you should be looking for. Engine coolant usually smells sweet and typically ends up under the car and on hoses. It’s easy to tell the difference between condensation (doesn’t smell), engine coolant (smells sweet) and engine oil (is much thicker). You’ve likely had a coolant leak and you’ll have to refill it before you can get back underway. Wait for the vehicle to cool completely and then pour it in slowly into the radiator. If you’ve got some water with you most vehicle are designed to run on diluted coolant. You can dilute the engine coolant and have a 50% water and 50% coolant mixture. Do it a little at a time to help the system accept it slowly. If you simply don’t have any coolant with you it’s possible to use straight water. It’s not a permanent solution, but it does work. With new coolant in the engine you can test the engine. Turn the it on and watch your temperature gauge carefully. If it races back onto the hot side you’ll need to shut the car off again. Wait another 20 min and give it another try. If it continues to have problems or you’ve noticed a significant leak under the vehicle you’ll likely need a tow to a mechanic. 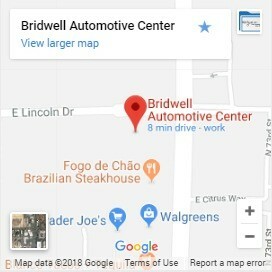 Otherwise you can schedule engine repair with your local repair shop. If you just can’t seem to get the engine to cool call for a tow truck. Don’t risk serious damage or further damage to your vehicle by driving while you’re overheating. The cost to replace an engine is usually about 15% of the vehicles value. So take care of your vehicle early, often, and considering preventative maintenance. There are a lot of factors that can cause your engine to overheat. One of the most common causes is that the coolant level is low. If this is low, then it will cause the heat that is inside of the engine to stay in while making steam as the temperature rises. The common cause for low coolant is that there is a leak in the engine or in the system. Mechanical failures like a thermostat sticking closed can block the flow of coolant in the radiator which causes the car to overheat. Additional failures could be a blown head gasket or a cooling fan not coming on. If the engine is running while it is overheating it will cause the pistons to begin expanding and then seize inside of the cylinder bore while busting the cylinder heads and cracking the engine block. If your car, truck, or suv has been showing any of these signs or has overheated Bridwell Automotive Center can help! Our master ASE repair technicians work on all makes, models, and can repair your overheating car quickly and affordably. Our radiator repair service and automotive repair shop is located in Scottsdale where we proudly care for any vehicle maintenance or repair need. Tags: Car Overheating What To Do, Overheating Car Symptoms, Why Do Cars Oveheat? If a person were to open the radiator cap on a hot car radiator hot water would be blown all over. Why would this happen?